Strategy Development: Good strategy is the antidote to competition. 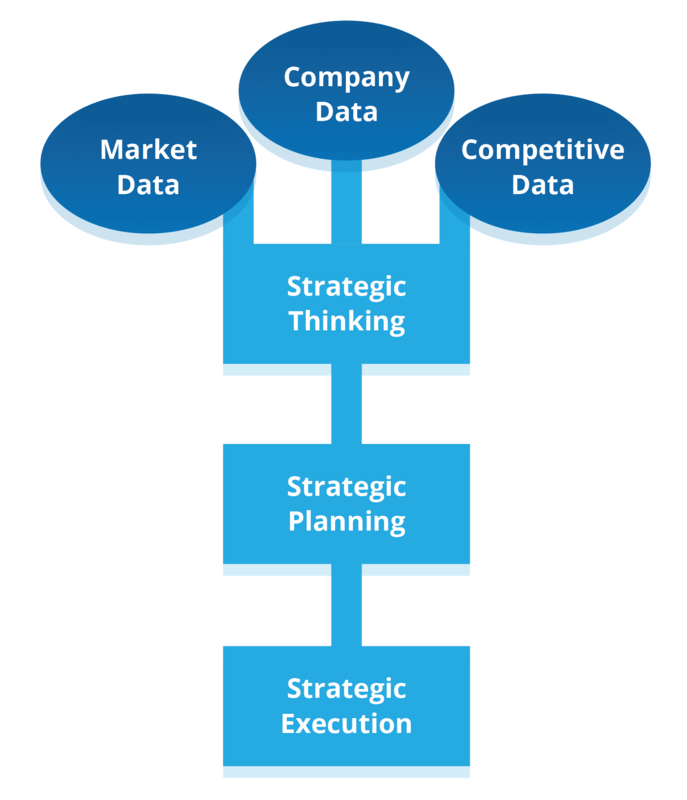 Strategic thinking is the process of developing a strategy that defines your value proposition and your unique value chain. This process includes market and competitive research as well as an assessment of the company’s capabilities and the industry forces impacting it. Strategic Plan Development: We will facilitate and create an actionable strategic plan to be used for daily decision making. It can be used to implement your strategy, align the efforts of your workforce, reinforce the culture of the organization, share management’s view of where the company is and their vision of where the company is going, define long term and short term goals, set clear, measurable milestones that mark progress towards important goals, and define metrics that can be used daily/weekly to measure short-term progress. The plan creates accountability for goal achievement. Strategic Plan Execution Management: This is where the rubber meets the road and where many organizations struggle. It is the most critical component in the process. We will help you implement a system to track execution and create accountability for you and your team to execute and realize the change envisioned in the strategic plan.